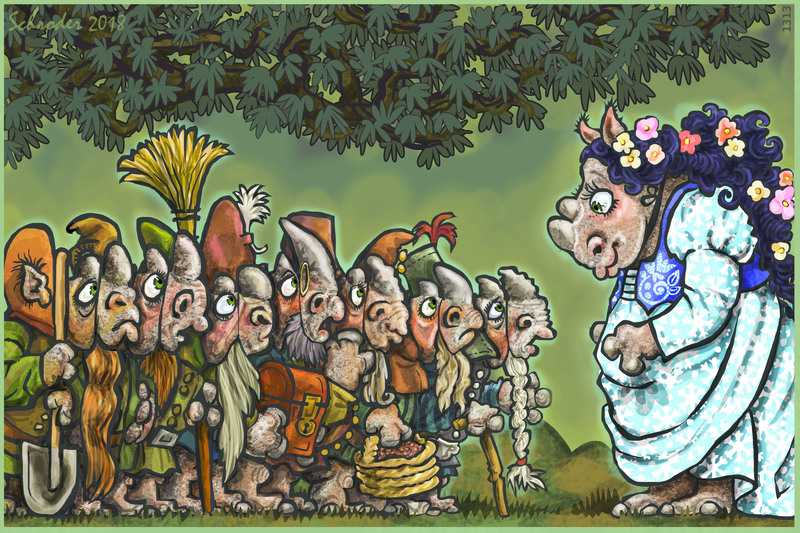 Snow White, a princess-in-hiding, visits a cluster of Dwarfs, out of the blue. Everybody gets along well, after some initial adjustments. Rhinos are good at odd accommodations, not only in territory, but also with other folk. Rhinos are Flexible. Most of the time. There are more than three Dwarfs, which qualifies them as a Crowd. Rhino fairy tales bring such a nice new dimension to the stories. Little Red Riding Hood was a great start to the series. Nothing like a realistic twist to the ending, especially from a parental perspective.